The MTH Z-4000 is the first all-new transformer to hit the O gauge market in years. It has some special new features and this video will show you all the "tricks" to using the MTH Z-4000. OGR Publisher Rich Melvin is your host for this informative video. He explains the complex functions of the Z-4000 in an easy-to-understand, non technical manner. He will teach you some basic electricity, and you'll be amazed to see how easy it is to use the Z-4000 to program your QSI sound systems! 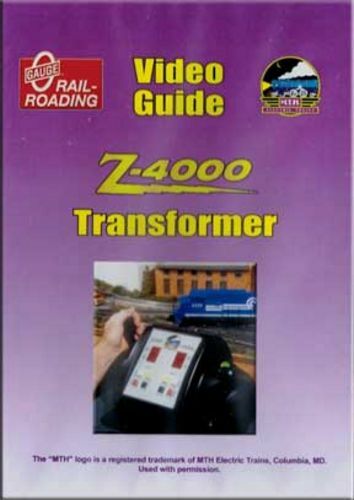 If you have a Z-4000, you should have this video!